Lidia Kopania was born on 12th May 1977 in Koluszki, Poland. In early age she took part in Miss Teen Poland contest where she won special prize by journalists. During the competition one of the tasks was to perform the song, so Lidia has been noticed by Darius Grabowski, lecturer at the Lodz Academy of Music, and got experience working with such artists like Urszula Dudziak and Kasia Stankiewicz. Her first hit was "Niezwukly Dar" written by Robert Janson. In 2003, she has become lead singer for the band "Kind of Blue", which earlier in 2000 (with the previous vocalist) took part in the qualifying rounds for Eurovision in Germany finishing 3rd with a song Bitter Blue. First album of the band with Lidia entitled "Beating The Morning Rush" was released in Germany at the end of 2004. Band has been awarded "The John Lennon Talent Award." In Poland, the first single for Lidia Kopania and a band was song "Kiss Me". In 2006 she has released an album entitled "Intuition", which included 16 pop songs (mostly in English). 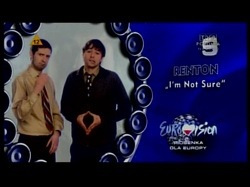 On it appeared song "It must be love", which was selected as reserve entry for Song For Europe 2007, Polish Eurovision preselection. Lidia won the audience vote at TOPtrendy Festival 2006 organized by Telewizja Polsat, performing two songs own one "Sleep" and ABBA cover "The Winner Takes It All". On 6th of June 2008 album "Przed svitem" has been released, produced by Jens Lueck, with song lyrics mostly wirtten by Lidia herself. You can watch official video on "I Don't Wanna Leave" here, national final performance here and listen to the song and Lidia's myspace. As in 2008, TVP will not air first semifinal, in which Poland is not taking part in. Лидия Копания родилась 12го мая 1977 года в Колужки, Польша. В детстве она принимала участие в конкурсе Miss Teen Poland, где завоевала специальный приз прессы. Во время конкурса одной из задач было исполнение песни, и Лидию заметил Дариуш Грабовски, лектор музыкальной академии Лодза, и Лидия смогла получить опыт работы с такими артистами, как Урсула Дудзяк и Кася Станкевич. Первый хит Лидии "Niezwukly Dar" ей написал Роберт Янсон. В 2003 году она стала солисткой группы "Kind of Blue", которая ранее, в 2000 году (с предыдущей вокалисткой) принимала участие в отборочном раунде на Евровидение от Германии, заняв 3е место с песней Bitter Blue. Первый альбом группы с Лидией, под названием "Beating The Morning Rush" вышел в Германии в конце 2004 года. Группа получила специальный приз немецкого телевидения "The John Lennon Talent Award". В Польше первым синглом Лидии и группы стала песня "Kiss Me". В 2006 году она выпускает альбом под названием "Intuition", в который вошли 16 поп песен (в основном на английском). В него вошла песня "It Must Be Love" которая вошла в число резервных песен на польском отборе на Евровидение 2007 года. Лидия завоевала приз зрителей на фестивале TOPtrendy 2006, исполнив две песни - собственную "Sleep" и ковер версию АББЫ "The Winner Takes It All". 6го июня 2008 года вышел очередной альбом певицы "Przed svitem", который спродюсировал Йенс Люек, а большинство текстов к которому написала сама Лидия. Официальный видеоклип на "I Don't Wanna Leave" вы можете посмотреть здесь, выступление на национальном отборе здесь, а прослушать песню на myspace Лидии. But I will never say goodbye. 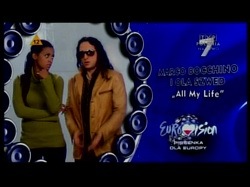 - Dear Lidia, and first of all our congratulations for being selected Polish representative at Eurovision 2009! How do you feel now, being a Eurovision participant? 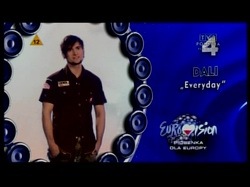 - I am extremely happy that I can represent my country at Eurovision. It is a great reward. 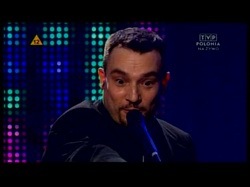 - Was it difficult to win Polish preselection? Whom have you regarded as your main rivals? - In fact, each contest is not easy to win. 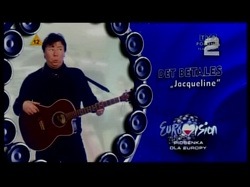 Therefore, entering my song to Polish preselection I did not think about competing with anyone. For me it was an opportunity to present my new song. - How can you describe your song "I Don’t Wanna Leave" in one phrase? - Don't be afraid of changes. - Can you tell us the story of the song creation? Was it written specially for the contest? - The song was written especially for me. 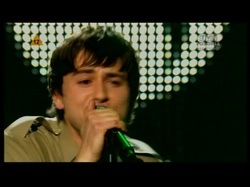 Much later we decided to present it at the Polish preselection concert. The song is special and belongs to the favourite compositions of mine recorded so far. Before "I Don’t Wanna Leave" became the song of this title it had been given to me in a completely different version. 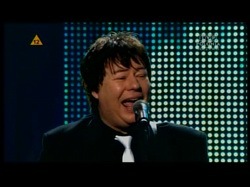 It was sung by a man who pretended to be a woman and, what's more, in a Russian language. I was really astonished as I heard it for the first time. However, I immediately felt the song was just for me. Soon it was revealed why demo was recorded in such a language version. 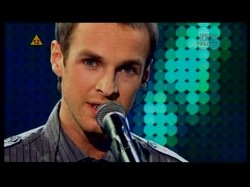 Alex Geringas, the co-author and producer of " I Don’t Wanna Leave" sang it for me in Russian. His knowledge of the language is perfect since he was born in Moscow and lived there for the first years of his life. Besides he thought that Russian was closer to Poland than English so emotions hidden in the song would be expressed more clearly and deeply in such a way. - For the time being I am not planning to record any other versions of the song. - Up till now I have not been observing what has been going on within Eurovision particularly closely. At present, the situation has changed as I am myself involved in the contest. As far as memories are concerned, there were a few singers whose performances impressed me a lot and whose songs I still keenly listen to. They are as follows: Celine Dion, Edyta Gorniak, Sertab Erener, Ruslana and Boaz Mauda. - When I find myself on the stage in Moscow I will have in mind that it is a great act of distinction to be there. I wish the audience could share my happiness and feel the flow of a positive energy. - You have already started your promotional tour. Do you think in general that pre-contest promotion is important for the contest success? What will be your next destinations? - In my opinion such a tour can help to acquire better score at the contest. Thanks to performances in other countries, the audience is given the opportunity to know me better and keep the song in mind. We have already arranged concerts in Holland and England. Talks with some other countries are in progress so the number of visits will definitely become larger. My management is in touch with such countries as: Moldavia, Greece, Germany, Ireland, France and Lithuania. - You have already filmed nice music video for your entry, can you tell us more about it? - We wanted to achieve fine and intimate character of the tale behind the song "I Don’t Wanna Leave". The story says that we sometimes have to make decisions which at first cause us pain against something new, still unknown. However, some decisions, although painful, are necessary to be taken so that we might seize from life everything that it offers. Therefore, there are no "super effects" but there is only a subtle image. We present dilemmas of our mind caused by inner inhibitions and their gradual fading. - Will the stage presentation of the entry in Moscow be similar to the one we’ve seen in Polish NF? Or do you plan something extra for the international audience? - We are working on my performance in Moscow very intensely. Anyway, I would not like to reveal all the details now. Let it be the secret until 14 May. - I think that all these three elements are equally important. It is an ideal situation when an excellent performer is singing a brilliant song and a visual scenery is only emphasizing the song's character in an interesting way. - I am not a politician. I am a singer and co-author of songs whose aim is to share the work effects with the audience. I simply treat the event as the song contest, nothing more. - Above all, I focus on my work and my preparations to the performance in Moscow. Time will probably let me listen to all the songs no sooner than 14 May. - There have been a few such moments in my career, for example: the co-operation with the German band - Kind Of Blue, the album in Germany in 2004 and two solo albums – "Intuition" in 2006 and "Before Dawn" in 2008. The participation in the most important Polish music festivals – Opole in 2005 and Sopot in 2006 as well. 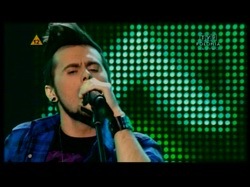 The first prize at this-year Polish pre-selection concert to Eurovision can be also added here. - For some time you’ve been member of “Kind of Blue”. Why you have decided to go solo, do you still communicate with band members? - My cooperation with Kind Of Blue has not finished. We are in a permanent contact. Most of the songs for both my solo albums were written by Bernd Klimpel, the leader of Kind Of Blue. Bernd was also the co-author of " I Don’t Wanna Leave". - You have already taken part in many musical competitions, what was the most memorable for you? Do you like competing in general? - I have taken part in three significant competitions, two of which I won: Trends contest under the Top Trendy festival in 2006 and this-year Polish pre-selection concert to Eurovision. Participating in the contest I did not focus on competing but on passing to the audience as much emotions as I could via sound and words. - I listen to many different kinds of music ranging from classical to alternative, niche and experimental compositions. For sure, classical music is the most willingly listened by me. Moreover, I have been learning classical singing for two years. As far as singers are concerned, there are several singers whom I admire and whose voices put a spell on me, e.g. : Lara Fabian, Whitney Houston, Shirley Bassey, Celine Dion, Mariah Carey and Yma Sumac. - For the time being preparations for Eurovision and promotion of " I Don’t Wanna Leave" have been absorbing so much attention that there is no time left to take care of other things. - Of course, I can name them, for instance: Alla Pugaczowa, Dima Bilan, Tatu, Ruslana, Dali and Brainstorm. - I wish to greet All the Readers of the interview sincerely and if my song was to Their liking I kindly count on their votes. - Thank you very much and see you in Moscow! - Привет, Лидия! Наши поздравления с тем, что вы стали представительницей Польши на Евровидении 2009! Что вы чувствуете сейчас, будучи избранной конкурсанткой Евровидения? - Я очень рада тому, что я могу представить свою страну на Евровидении! Это большая награда для меня. - Тяжело было победить на польском национальном отборе? Кого вы считали своим основным соперником? - На самом деле, на каждом конкурсе победа не дается легко. Поэтому, подавая песню на польский отбор, я не думала о каком-то соперничестве. Для меня это было прежде всего возможностью представить публике свою новую песню. - Как бы вы описали вашу песню "I Don't Wanna Leave" в одной фразе? - Расскажите нам историю ее создания? Была ли она написана специально для Евровидения? - Песня была написана специально для меня. И уже много позже мы решили выставить ее на конкурс. Она очень важна для меня и принадлежит к числу моих любимых песен, из тех что я уже выпустила. До того, как она стала "I Don’t Wanna Leave", она существовала в полностью иной версией. Она исполнялась мужчиной, который пел от лица женщины, и более того, она пелась на русском языке. Я была просто поражена, когда услышала ее впервые. Я сразу почувствовала, что эта песня как раз подойдет для меня. Скоро, я узнала, почему демо было записано в такой необычной версии. Как оказалось, Алекс Герингас, соавтор и продюсер "I Don’t Wanna Leave" исполнил ее для меня на русском. Он отлично владеет этим языком, потому что он родился в Москве и жил там все детство. Помимо того, он подумал, что русский намного ближе к Польше, чем английский, поэтому, эмоции, которые содержаться в этой песне были бы выражены более ясно и глубоко в такой версии. - Планируете ли вы записать новые версии этой песни, на других языках? - Пока таких планов у нас нет. - Вы вообще следите за конкурсом Евровидение? Есть ли у вас какие-то воспоминания, связанные с ним? - До сегодняшнего дня я не очень близко следила за Евровидением. Но в настоящее время ситуация изменилась, потому что я сама участвую в этом конкурсе. Что же касается моих воспоминаний, то есть несколько исполнителей, чьи песни меня очень сильно впечатлили и за чьм творчеством я теперь слежу, например Селин Дион, Эдита Горняк, Сертаб Эренер, Руслана и Боаз Мауда. - Какую задачу вы ставите перед собой на конкурсе? - Когда я окажусь на московской сцене, прежде всего я буду помнить о том, что это уже очень престижно выступать на ней. Я лишь надеюсь, что зрители смогут разделить со мной моей счастье и почувствовать прилив позитивной энергии. - Вы уже начали промо-тур, вообще считаете ли вы его важным моментом подготовки к Евровидению? Какие страны идут дальше в вашем графике? - Да, я думаю, что промо-тур может помочь добиться на конкурсе лучшего результата. Благодаря выступлениям в других странах, зрители получают возможность пораньше познакомиться со мной и с моей песней. Мы уже договорились о выступлениях в Англии и Нидерландах. Мы ведем переговоры и еще с рядом стран: Молдова, Греция, Германия, Ирландия, Франция и Литва, поэтому мой тур, несомненно, продолжится. - Вы уже сняли очень симпатичное видео на вашу конкурсную песню, расскажите о его создании? - Мы хотели показать историю, заложенную в песню "I Don't Wanna Leave". Она рассказывает о том, что иногда приходиться принимать решения, которые сначала вызывают у нас боль, борьбу против чего-то нового, пока неизвестного. Однако, несмотря на это, такие решения необходимо принимать, чтобы иметь возможность получить от жизни все, что она предлагает. Поэтому, в клипе нет каких-то "супер-эффектов". Мы хотели показать дилемму выбора, вызванную внутренними переживаниями. - Будет ли ваше сценическое выступление в Москве похоже на то, что мы могли видеть в Польше? - Мы усиленно работаем над нашим номером, но пока я ничего не могу о нем рассказать. Пусть он остается секретом. - Я думаю, что все эти элементы одинаково важны. В идеале - сильный исполнитель должен петь отличную песню и это должно сопровождаться визуальной картинкой, наиболее полно раскрывающей смысл этой композиции. - Иногда о Евровидении говорят, что это политический конкурс. Вы так думаете? - Я не политик, я автор песен и певица, моя работа - поделиться своими творениями со зрителями. Я отношусь к Евровидению просто как к музыкальному конкурсу, ничего более. - Вы следите за отборами других стран, будете ли вы слушать заранее все конкурсные песни? - Прежде всего, я концентрируюсь на своей работе и собственной подготовке к выступлению в Москве. Скорее всего, время мне не позволит прослушать все песни до начала репетиций. - Давайте вкратце поговорим о вашей карьере. Что вы считаете ее основным пиком? - Таких моментов в моей карьере было несколько, например сотрудничество с группой "Kind of Blue", выпуск альбома в Германии в 2004 году и двух сольных альбомов - "Intuition" в 2006 году и "Before Dawn" в 2008. Участие в двух наиболее престижных фестивалях в Польше - Ополе в 2005 году и Сопот в 2006. Ну и, победу на польском отборе на Евровидении в этом году тоже можно добавить сюда. - В течении некоторого времени вы были солисткой группы "Kind of Blue", почему вы решили начать сольную карьеру, поддерживаете ли вы связь с группой? - Наше сотрудничество еще не окончено. Мы постоянно находимся в контакте. Большинство песен для моих сольных альбомов написал Бернд Климпель, лидер Kind of Blue. Он также является и со-автором "I Don't Wanna Leave". -Вы принимали участие во многих музыкальных соревнованиях, какие вам запомнились больше всего? Вы вообще любите атмосферу соперничества? - Я принимала участие в трех важнейших соревнованиях, в двух из которых я победила: конкурс в рамках фестиваля Top Trendy в 2006 году и отбор на Евровидение этого года. Участвуя в конкурсах я не фокусируюсь на состязательной части, но ставлю перед собой задачу поделиться со зрителями как можно большими эмоциями посредством музыки и слов. - Какой стиль музыки вы предпочитаете? Какие певцы оказали наибольшее влияние на вас? - Я слушаю множество видов музыки, начиная от классической, и заканчивая альтернативой, нишевыми и эксперементальными композициями. Но, конечно, с наибольшим интересом я слушаю именно классику. Более того, уже последние два года я изучаю классическое пение. Что же касается исполнителей, то есть несколько тех, чье творчество мне очень нравится: Лара Фабиан, Уитни Хьюстон, Ширли Басси, Селин Дион, Мэрайя Кери и Има Сумак. - Планируете ли вы выпуск каких-то новых релизов перед Евровидением? - В настоящее время мы очень заняты подготовкой и промоушеном, поэтому на другие вопросы пока времени совсем не остается. - Наш обычный вопрос - кого из исполнителей стран СНГ вы можете назвать? - Конечно, например, Алла Пугачева, Дима Билан, Тату, Руслана, Дали, Brainstorm. - И, наконец, если у вас есть что еще добавить читателям этого интервью, то вы можете это сделать прямо сейчас. - Я хочу искренне поприветствовать Всех, кто прочитал данное интервью и если моя песня понравиться Вам, то я рассчитываю на вашу поддержку и голоса! 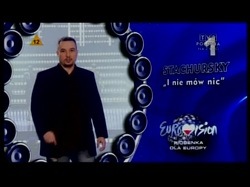 Polish broadcaster TVP has published list of 12 songs to take part in the national Eurovision preselection. Piosenka dla Europy final will take place on 14th of February. Applications (122) have been received from authors from all over Europe and Africa (Poland - 87, Netherlands - 7, France - 5; Israel - 5; Germany - 2, Sweden - 8, Norway - 1, Denmark - 1, Cyprus - 1; United Kingdom - 3, South Africa - 2). 17 songs have been disqualified for breaking rules of the preselection. Preselection jury included: Zuzanna Lapicka Olbrychska (head), Pawel Sztompke (TVP1), Piotr Baron (Radio 3), Tomasz Miara (Radio Zet), Dariusz Maciborek (Radio RMF FM), Tomasz Deszczynski (OGAE Poland), Malgorzata Kosturkiewicz (TVP), Piotr Klatt (TVP1). Song "Amazing" by Kasia Skrzynecka will likely be disqualified, as it was performed during show Dancing With Stars in 2007. OGAE Poland has also reported that Mikromusic entry is also breaking the rules being performed at band concerts in February 2007. Update: The songs have been disqualified, it has been decided not to replace them. Финал Piosenka dla Europy пройдет 14го февраля. Заявки на участие в нем (122) были приняты со всей Европы и Африки (Польша - 87, Нидерланды - 7, Франция - 5, Израиль - 5, Германия - 2, Швеция - 8, Норвегия - 1, Дания - 1, Кипр - 1, Великобритания - 3, Южная Африка - 2). 17 песен были дисквалифицированы за нарушение правил отбора. Отборочное жюри включало в себя: Zuzanna Lapicka Olbrychska (глава), Pawel Sztompke (TVP1), Piotr Baron (Radio 3), Tomasz Miara (Radio Zet), Dariusz Maciborek (Radio RMF FM), Tomasz Deszczynski (OGAE Poland), Malgorzata Kosturkiewicz (TVP), Piotr Klatt (TVP1). Песня "Amazing" скорее всего будет дисквалифицирована, поскольку исполнялась на шоу "Танцы со звездами" в 2007 году. Сообщается также, что и композиция группы Mikromusic также нарушает правила отбора, она исполнялась в феврале 2007 года. Обновление: песни были дисквалифицированы, было решено не вводить им замены. Прослушать участвующие песни можно здесь. Poland sticks to the same national selection procedure as last year. Piosenka dla Europy will take place on 14th of February. List of finalists will be published on 23rd of January. 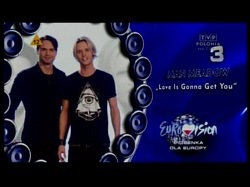 Winner will be selected by mix of jury and televoting. Deadline of submission is 16th of January, foreign artists and songwriters accepted, however minimum experience of at least one album release is required. At least 7 entries will be selected from public submission, plus TVP reserved the right to invite up to 5 performers directly. 90 entries have been received by TVP Польша будет придерживаться той же схемы отбора, что и в прошлом году. Piosenka dla Europy пройдет 14го февраля. Список финалистов будет опубликован 23го января. Победитель будет выбран смесью жюри и зрителей. Заявки принимаются до 16го января, допускаются иностранные авторы и исполнители, к которым предъявляется требование выпуска как минимум одного сингла или альбома. По меньшей мере 7 песен будут выбраны из числа заявок, и телеканал резервирует за собой право прямого приглашения еще до 5 участников. Было получено 90 заявок на участие в конкурсе.